Karthun needs Heroes. Will you heed the call? 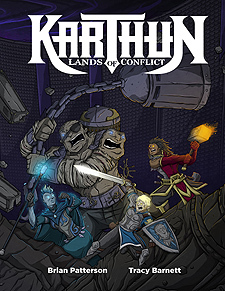 Karthun was once a land of peace and prosperity. Then the release of the Worldfire and the breaking of the planes ushered in the Age of Conflict. Now, rules wage war against the legions of the Three Demon Kings, ravenous undead horrors... and each other. Karthun needs heroes to stand against the darkness, but to be a hero in Karthun is to be a legend, for even the gods can perish here. All that awaits the fallen is the cold embrace of the Mother of the Dead.